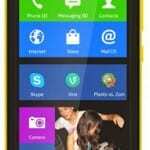 Nokia Lumia 820 is now available in Nigeria. You can now buy the Nokia Lumia 820 SIM-free at leading local stores as well as online stores in Nigeria. If you find the price of the flagship Nokia Lumia 920 way above your league, the Nokia Lumia 820 might just be the perfect Windows Phone 8 Smartphone for you. Although the Nokia Lumia 820 comes at a lower price point it is by no means a pushover. It comes with the same processor on the Lumia 920 as well as the same RAM capacity and just about the same software are pre-loaded. Nokia Lumia 820 features a 4.3-inch AMOLED Clearback display with WVGA resolution. The 8MP Camera at the rear-end is capable of recording full HD video. Nokia Lumia 820 supports LTE as well as wireless charging. It comes with 8GB built-in storage with support for up to 64GB microSD card. 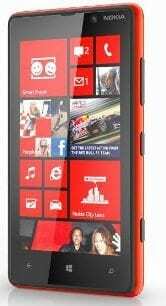 You can buy Nokia Lumia 820 Online at Konga. Currently the red and yellow models are available. So, go online and buy your own Nokia Lumia 820. If you are wondering the features of this Smartphone, read our Nokia Lumia 820 article. 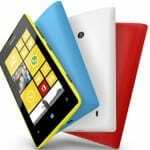 The Price of the Nokia Lumia 820 in Nigeria is currently ranges from N62,500 to N70,000, depending on the store and your location in Nigeria. You can also checkout the full Nokia Lumia Phones list.